My version of Phulkari borders. 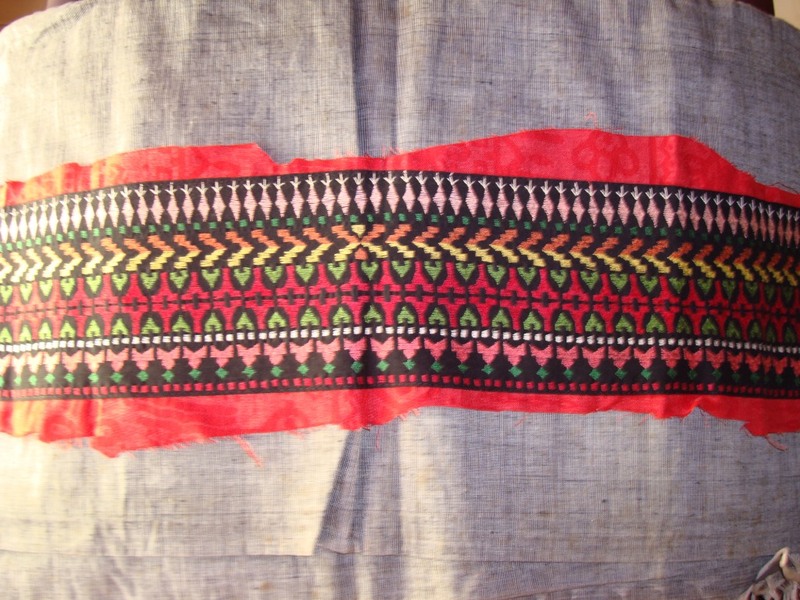 This was my first introduction to phulkari embroidery. I was told that , the embroidery was done with surface satin stitch on geometrical patterns. Then I saw a picture of a bedspread or shawl, which was fully covered with phulkari embroidery. Only thing I could make of the picture was that it was– BRIGHT! Computer was not my friend then. I wanted to try this embroidery, but without sources to learn the proper method, I made my version geometrical border pattern and stitched them in surface satin stitch. 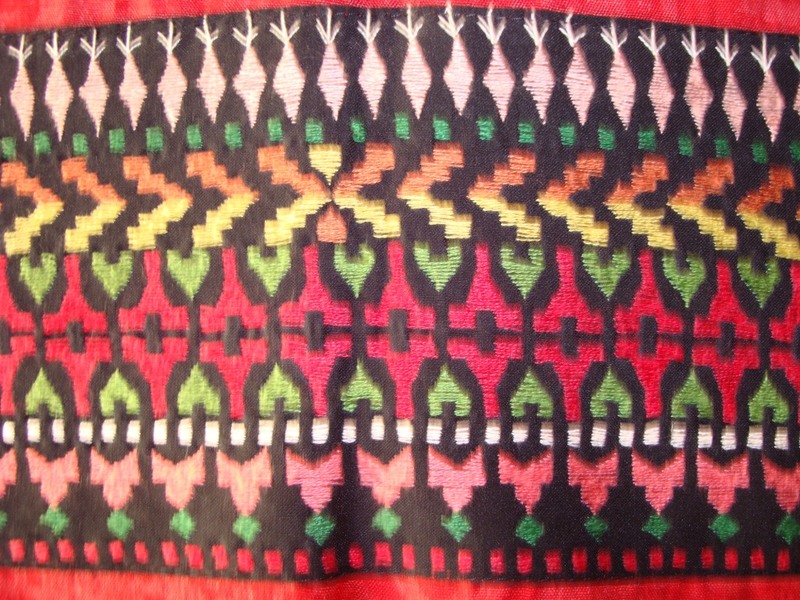 At that time, idea of making a sampler had not yet come to me.So this border pattern was used for a tunic . The tunic fabric was synthetic material printed in red. price was Rs.28 per meter. The embroidery was done in black,to incorporate more colours. This piece could be used as borders for bag. Still it is lying there in the cupboard in Chennai.